On this week's Monday Musings, I share my thoughts on the state of VR and how the NES Classic Edition has revitalized my interest in some of the classics games of old. Read on below! VR is something I definitely would like to get into at some point. Surprisingly, it's something I still haven't experienced for myself just yet (maybe I need to get out to Best Buy or some other place that demos it at some point) but I've heard all about what a "religious experience" it is once you do finally try it. One thing that really sold me on it was Jeff Gerstmann and the rest of the crew from Giant Bomb talking about Google Earth VR on recent episodes of Giantbombcast where they were discussing Game of the Year stuff. Of course, Google Earth VR isn't explicitly game-related, but as an experience, the idea of strapping a device to your head and instantly being transported to another part of the world as if you were standing right there and looking around sounds absolutely mind-blowing to me. Even if -- in application -- you're using it mostly for checking out an area that you're unfamiliar with that you might be going to (around the city, for example). The main reason I haven't gotten it yet, then? Price is certainly a factor, and at a time when another new console is soon to release, I'd rather focus what money I have on Nintendo's Switch for now. 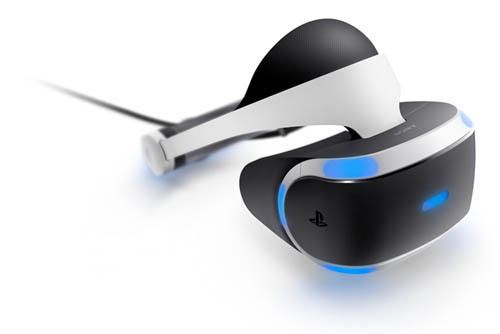 But more so than that is the fact that PlayStation VR -- the VR platform I'm most likely to buy -- is still in its infancy, as is its lineup (as good as some of the games may be). Eventually, PS VR 2.0 and 3.0 will be a thing (this year will be telling as to how often that cycle will be), and I'd rather wait it out and see how much things improve before taking the leap. Also, there's the fact that -- between PS4, Xbox One, PC, and Switch (not to mention 3DS and Vita) -- there's just way too much to play at the moment. Adding a VR platform right now would divert ever-decreasing free time away from games that I'm currently trying to play, so I'd rather wait until there's a huge reason to get one that absolutely can't be ignored. That, and I'm still waiting to see how well (and often) Sony supports PS VR. Seeing as how they virtually stopped producing their own games for Vita just two years in, you can't blame me, right? Ever since the end of 2016, I've been spending more time with the NES Classic Edition and -- short controller cord controversy aside -- been really enjoying it so far. 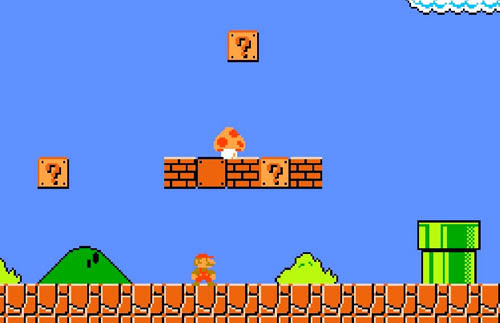 One thing I'm attempting to do is replay most of the games on there one by one, starting with Super Mario Bros. Now, aside from its legendary status, that game was actually never one of my favorites to play over the years. I always felt that it suffered from "sameness" in that most of its levels largely felt the same, thanks in part to the NES's limitations at the time. Thus, I was never inclined to play it over again and again over the years the same way I would have done with, say... Super Mario World or Super Mario 64. But with the NES Classic Edition, I discovered something interesting: playing NES games with the NES controller makes a world of difference. I don't know what it is -- maybe it's nostalgia talking -- but there's nothing quite like playing Super Mario Bros. and The Legend of Zelda with an NES controller. It just doesn't feel the same if you're playing with a Wii U gamepad, Wii remote, or heck, even a PlayStation 4 controller (if you're into homebrew stuff), but playing with that blocky little controller makes the game make sense, like "Yeah, NOW I get it!" Also, that game is a LOT harder than I remember. Mario controls like a tank and once your three lives are out, it's game over (and there are no continues either). NES-era games are definitely unforgiving, but hey, that's part of their charm too! Anyhow, that's a wrap for this week's Monday Musings. I'm attempting to keep things a little shorter after last week's initial post was a bit on the long side. Maybe I'll continue to shorten it next week as well. Like what you're reading? Don't like it? I'm trying to tailor this to feedback, so let me know what you think, and thanks for reading!